If a loved one has been arrested in Butts County, it may be time to get Butts County bail bonds. Anytime Bail Bonding, Inc. is here for you during this time of need and we will ensure that your loved one gets released as soon as possible. You are welcome to drop by our office at 771 Buford Dr. in Lawrenceville, Georgia or call us at (770)339-9000 so that we can begin working on your loved one’s case right away. The bail bonds process in Butts County begins when a judge determines whether or not your loved one deserves to be granted bail. 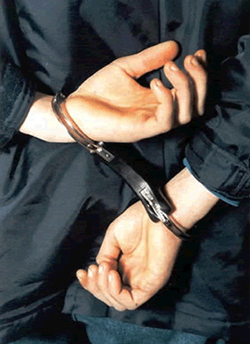 Some jurisdictions have bail schedules that list the bail amount for each particular crime. If this is the case for your loved one, you will not have to wait for a bail hearing. In the event that your loved one cannot pay to be released on his own recognizance, you have the option of obtaining a cash bond or a property bond that will release him from jail. If you cannot afford to do this, you can get a Butts County bail bond instead. When you hire a Butts County bail bondsman, we will post bail bonds in Butts County GA for you. This way, you will not have to pay the court the full 10 to 20 percent of the bail amount. Instead, your bail bondsman will charge you a fee of 12 to 15 percent of what is owed to the court. This fee will not be refunded at the end of your loved one’s case. After we bail your loved one out of jail, we will be responsible for ensuring that they appear at their court hearing. If he runs away, we will be required to pay the remainder of the balance on his bail amount. Because of this, we may need to ask you for a deposit to minimize the risk that your loved one may miss the hearing. As bail bondsmen in Butts County, we will be able to hire a bounty hunter if your loved one decides to leave town and miss their court hearing. Therefore, your loved one must agree to some conditions before we can enter into an agreement with them. They will be aware of the “conditions of release” and will be required to follow the conditions. If they fail to do so, their bail may be revoked, and they will have to return to jail and remain there until their case is over. Your Butts County bail bonds company won’t stop until your loved one has been released from jail. We will contact you as soon as we know when you can take your loved one home. If you or someone you know is behind bars waiting for trial, contact Anytime Bail Bonding, Inc. right away at 770-339-9000 because when your freedom is on the line you can count on us anytime.